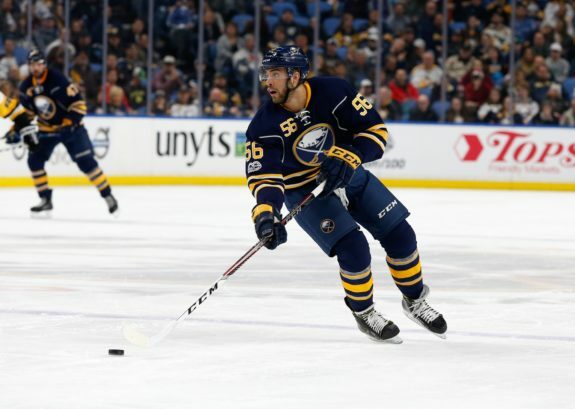 While the Buffalo Sabres have lost five straight and have dropped from first place in the NHL into a tie for sixth place, their American Hockey League farm team, the Rochester Americans remain red hot. This weekend, the Amerks won their third in a row and fifth of their last six games. They defeated the Syracuse Crunch 4-3, snapping the Crunch’s point streak at 13 consecutive games. It was the first regulation loss for the Crunch since Oct. 27. Before that win, the Amerks also were finally victorious over the Providence Bruins, 2-1, a team they hadn’t defeated since Jan. 2009. The Amerks sit comfortably in first place in the North Division with a record of 16-6-2 and 34 points. They’re five points ahead of the Cleveland Monsters and six ahead of the Crunch. The Red, White and Blue continue to hold down first place in the division and second in the Eastern Conference even with their captain, Kevin Porter, sidelined with a lower body injury. They’ve also lost two of their starting defenseman in Lawrence Pilut and Matt Tennyson who were called up to the Sabres. Defenseman Zach Redmond continues to dominate the AHL. Saturday night he tallied his team-leading fourteenth goal of the season and is now only four goals away from the all-time Amerks record for goals by a defenseman in a single season. That honor belongs to Rick Pagnutti, who scored 18 goals in the 1972-73 season. Last season, Redmond set a career-best mark of 15 goals. This year, he’s leading the AHL with six game-winning goals. The team is getting contributions throughout their lineup. Left wing Victor Olofsson has 22 points in 21 games including four game-winning goals, recent Sabres call-up Lawrence Pilut has 22 points in 16 games and is a team-high plus-19. Left wing C.J. Smith, the reigning Amerks Rookie of the Year, has 19 points in 24 games, Alex Nylander has 18 points and is a plus-11 in 24 games, and after a slow start, center Rasmus Asplund notched his seventh assist and eighth point in the last eight games. Through 24 games, the Amerks have six players with seven or more goals. Redmond is leading the team with 14, followed by Victor Olofsson with nine, Wayne Simpson with eight and C.J. Smith, Danny O’Regan and Justin Bailey each with seven. For comparison sake, through 30 games, the Sabres have only four players with more than seven goals. Jeff Skinner leads the way with 20, followed by Jack Eichel (nine), Jason Pominville (nine) and Sam Reinhart (eight). Bailey, a Williamsville, N.Y. native, went without a goal in 11 straight games to open the season, but has finally started to find his game again. Playing on a one-year contract, he needs to be a more consistent point-producer if he has sights on playing with the Sabres. Simpson, an undrafted 29-year old who played at Union College, has been a nice surprise for the Amerks. He spent the 2016-17 season with the Providence Bruins and played with the Hershey Bears in 2017-18. He’s both reliable and versatile, seeing time on the penalty kill and power play. Scott Wedgewood, recently called up by the Sabres for an injured Carter Hutton, has a record of 8-4-1 with a 2.91 goals against average (GAA) and .907 save percentage (SV%). Adam Wilcox sports a record of 6-2-1 with a 3.13 GAA and .891 SV%. With Wilcox summoned to Buffalo, the Amerks called up ECHL Cincinnati Cyclones goaltender Jonas Johansson. In back-to-back games, he went 2-0 with a sparkling 1.50 GAA and an impressive .944 SV%. The Swede earned ECHL Player of the Week honors last month. In 12 games, he’s got a record of 7-3-1-1 with a 2.49 GAA and a .910 SV% to go with two shutouts for the Cyclones. Johansson is a 2014 third-round pick by the Sabres. He has played 14 AHL games over the last two seasons. 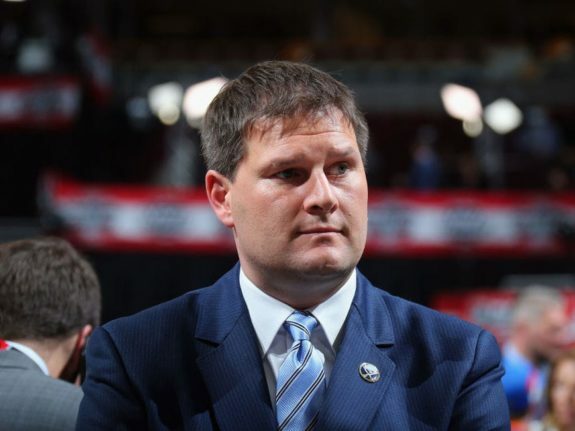 When Jason Botterill became the general manager of the Buffalo Sabres, he made it a point to address the entire organization, including the Amerks. He noted a commitment to rebuild the team, who were often treated as an afterthought. He knows that winning and development go hand-in-hand. Botterill himself played for the team for parts of three seasons. Botterill wants to build a winning culture in Rochester, where the Amerks were once known as one of the crown jewels of the AHL. Last season was a start-the team made the playoffs, but quickly exited in the first round.